The major challenge that is faced by the people in the e-commerce store is gaining scores of traffic. You should know how to pull the attention of the target audience and how to stand out unique from the other rivals in the market is a cumbersome task for the online businesses. In this article, you will get best social media strategies to boost online sales. 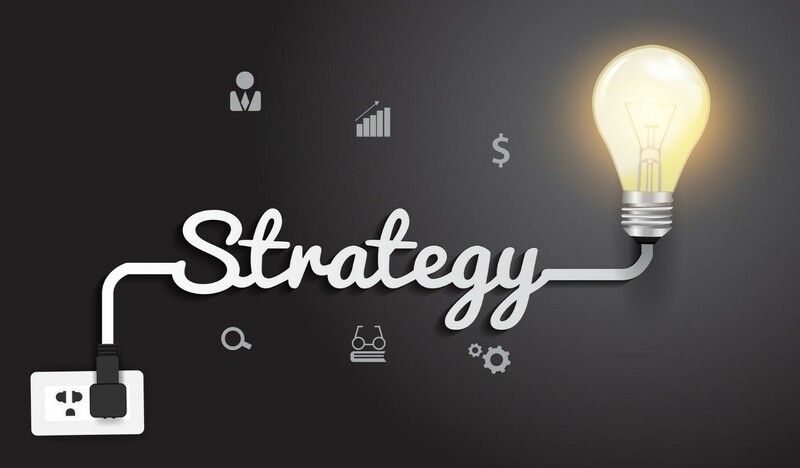 Out of these 12 strategies you need to pick the strategies that are suitable for your business. After using these strategies, you can see evident rise in the growing customers to your site. Growth of e-commerce industry has made it tough for the innumerable e-commerce sites to garner the attention of the visitors to their site and make them their loyal customers to their business. One of the best ways to keep the customers engaged and land on your site frequently is to post unique, informative content present in an intriguing way. A plethora of studies has found that the reaction of audience to the posting frequency differs. You need to research how frequently your competitors are coming up with an article or a blog post every week and you need to decide on the time and day in a week to post the content without giving a miss to let the customers land on your site to hog on the new content and learn about new products that are hitting the market and making the lives of people more easier. You need to share at least one post in Facebook and four to six tweets in your business Twitter account. You also need to keep a close watch on the timing you have more customers reading your post and ensure to post at the time every day. This helps your post to reach wider audience. There are two different tools that let you to post content automatically on the social media account include Swayy and Buffer. Swayy is an interesting tool that pulls out your industry related articles and schedule to post on different social media platforms. Buffer is a application that is easy to integrate with various applications and your browser to schedule the post on social media networks. With the help of these applications, you can save a lot of time on social marketing and focus on other marketing strategies to reap more traffic and sales. You can engage the customers on Facebook by adding compelling images in the post. Undeniably, images speak louder than text. Moreover, many studies have found that photos posted on Facebook generated around 50% of more likes compared to the post just with insipid content. When you are making any announcement or posting content, you need to include the link of your site and add pleasing image in the post. When a website visitor lands on your page and likes the content, then the social media button on the page motivates him/her to share the content with the friends in their account. This helps you to get more likes to your piece of content. This directly improves the impression rate. It is crucial for every business especially that is operating online to add social media buttons on the site to market their content and business. In fact, many blogs will have social media buttons to compel the readers to share the article on their social media page. LaunchRock is the free service that acquires the email addresses of various people who are excited to access the newly released apps in the market or service. The best part of this service is that, it integrates social media with the subscriptions to turn promotions into viral marketing channels that helps you gain a sea of traffic and sales to your business. This service is easy to use by any individual. You can create the account in this service for free of cost and personalize the widget and craft marketing content and then incorporate the personalized widget in the promotional page of the site. This service is used to promote new products and applications and get referrals. In addition, the businesses can use the social media feature in this service to make the campaign go viral in a few days. You need to alert the website visitors and the people in your social community that to be a part of the promotion, they need to share their email addresses on the promotion page. Once the email address is entered, the Launchrock will show the related promotion beside which you can also see social media buttons. To motivate the visitors to share your campaign with their friends, you need to offer them with attractive incentives. Example of few compelling statements that you can write include, “Improve the chances of winning summer concert tickets by inviting the people in your social media account to join the promotion”, or “Invite three friends to join the promotion and grab the chance of winning a bonus prize”. This improves the number of shares and reaches the wider audience across the globe. With the help of this service, you can also pull the information of which email has brought you many referrals. You can send a thank you email to these influencers for helping you get more referrals for your product by promoting them. Ideally, sending a thank you email will give a tinge of personal touch to your promotion. This is one of the best social media strategies to boost online sales. By using the product reviews, you can get insights about your products. Moreover, these reviews will act the decision making factors for the other prospective customers. The positive reviews help you improve sales to your business. Yotop application lets you to get connected to the Facebook and Twitter accounts and post the reviews that you have received to this application directly onto the official Twitter and Facebook page to gain the trust of the other customers who are planning to buy your product or avail your service. These reviews will motivate the audience to learn about your products and services, thus improving traffic and sales. Few of the stores that are taking advantage of social media reviews include RockinWellness and KollectionK. There is loads of information available on the internet and people are not having patience to sit and ready lengthy articles. The current trend of promoting content is to post bite-sized information which is easily assimilated by the audience. Moreover, it just takes a few minutes of their time to read this piece of information. This trend has to be embraced by the online stores to let their content digested by the audience with ease. Two popular services that are used to host micro content are Soundcloud and the other is Vine. The former is a closed based service where you can find a slew of sound files while the later is a mobile application that lets you to create and share the video clips that last for just six seconds on your social media pages. Few of the brands that are using these free mobile applications to post engaging video content are Urban Outfitters, Doritos and NASCAR. To keep your online community, engaged you need to conduct something interesting that grabs their eyes and retain their attention span for a longer duration. The best way to increase the number of followers in your Twitter account is to host Q & A sessions every week. You need to choose a day in the week and encourage your customers or people in the online community to come up with questions related to your business, products or services or anything pertained to your industry. You need to answer all those queries and take the best question to craft a blog post. Slowly, you can increase the number of people taking part in the weekly Q & A session held in the online community. This helps you to strengthen your brand image. The thumb rule to stay alive on social is to engage and interact. The other tip is to develop a hashtag for your Twitter Q & A session and then encourage your online community users to post this hashtag in their tweets. This boosts your brand reputation and makes your Q & A session very popular in the entire social media ecosystem. 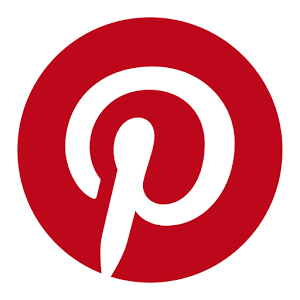 Pinterest is the best and powerful social media network that is gaining huge popularity day by day and is used by the businesses to promote their products and services. The best way to make your brand name go gaga in the whole Pinterest network is to create a treasure hunt and then promote your brand through it. In this treasure hunt, you need to ask each of your partners in the pinterest to pin an image on the Pinterest boards. Each image will give a cue to the succeeding image in the treasure hunt. You can keep this treasure hunt active by publishing a blog post and embed a link to the image. People who successful reaches the last image are directed to the hidden page where they need to enter credentials to participate in the raffle. If the article is about lists and tips, then you need to clearly give the number of tips you are explaining. You need to add social media buttons on your ecommerce site to share the products you love on social media pages to improve innate social behavior. You need to include social media buttons of Facebook, Twitter and Pinterest and show them clearly on the page where the focal point of users goes. Many people will choose the color of the button matching with the store theme, but this sometimes would be disadvantageous and reduce the number of shares. You need to choose the buttons that stand out unique from the entire theme of the site to boost the shares besides improving the traffic and sales. You can use AddThis service test the web page and find out the right place to position the social media buttons on the site that is giving you maximum shares. Infographics is the visual representation of the content. Many companies are using Infographics to showcase their content in an interesting way. This is gaining huge popularity day by day. You need to invest a lot of money on designing the best Infographics that help you bring a sea of traffic to the website besides helping you get huge number of backlinks that are important to optimize your website. To design a top-notch Infographic, you would need to spend around 100 to 1500 dollars. Moreover, it is worth investing in them. You need to do a thorough research on Google to find the intriguing topic in your industry and gather a few points and present these points on Infographic. You can create Infographic on “How much money is spent by every country during Christmas time”. This can be created by any online store. You can add a link in the infographic to your blog or article to gain huge traffic. You can provide additional information to your customers on the auxiliary products that are not the bread and butter of your company. For instance, if you are selling hiking shoes and want to provide additional value to the customers, then you can show the similar products or complimentary products that the customers may be interested in buying by creating a complimentary board on Pinterest. The stores and sites of which you are promoting the product will start gaining traffic to their sites from Pinterest account and this drives those businesses to embrace the same strategy to gain huge incoming traffic to the stores. You need to connect this Pinterest board to all social media marketing channels to pull scores of traffic and also your social media accounts, newsletters and blog posts to Pinterest boards to gain traffic. The above mentioned result oriented strategies are not used by many businesses due to lack of awareness. If you have read this article, you would have surely got an opportunity of getting to know the further strategies you can embrace to boost traffic and sales to your business. You can take advantage of the strategies that meets your business goals. If you have started implementing these strategies for your online business, then share how these are helping you to build your online presence by leaving your stories in the comment section.